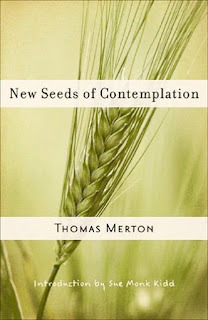 In New Seeds of Contemplation, the author Thomas Merton takes the reader on a journey of discovery. At the beginning Merton explains contemplation and then delves into what contemplation is not. Thus, the reader becomes aware of the spiritual aspect of learning about the connections between the mind and the soul that leads to how we behave and act. This kind of portrayal illustrates a type of philosophical and spiritual analysis that could become a prescription for the reader to follow. There are persuasive elements of how a person can become meditative, more aware and experience the joy of solitude and how to be alone. Merton espouses the merits very aptly. The philosophical trends are evident when Merton delves into the moral theology of the devil that further culminates to identifying the root of war as fear and that hell is hatred. Merton subtly brings in the religious aspect by defining faith that leads to the illustration of the conceptual movement from faith to wisdom and then outlining the mystery of Christ that leads to the life of Christ. The mix of philosophy and spirituality is engaging; it allows for many pauses for thought and further questioning as the reader examines the nuances of how to practice contemplation. New Seeds of Contemplation is a beautiful read that opens the mind, heart and soul to a strengthened way of living.